Ask any pool owner or employee about the importance of a decent skimmer and the answer will always be the same. In order to keep your pool clean and sanitary, it is imperative that you have the best system in place for the job. Don’t settle for less – when you could be improving the quality and cleanliness of your pool with our new range of skimmer systems. 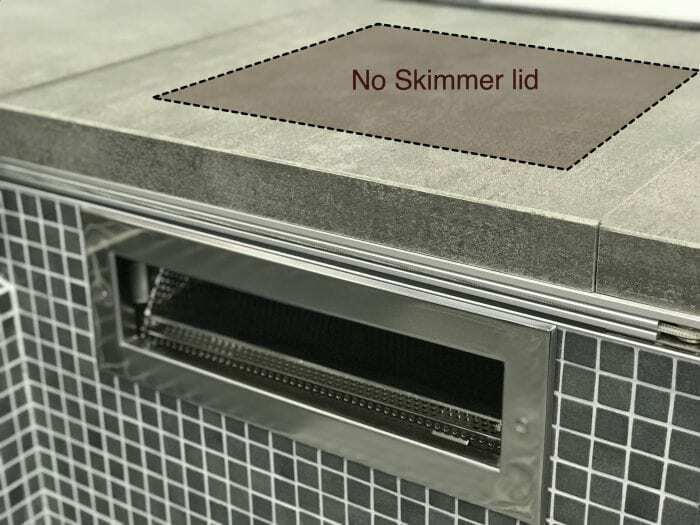 No more unsightly skimmer lids carved into the pool surround! 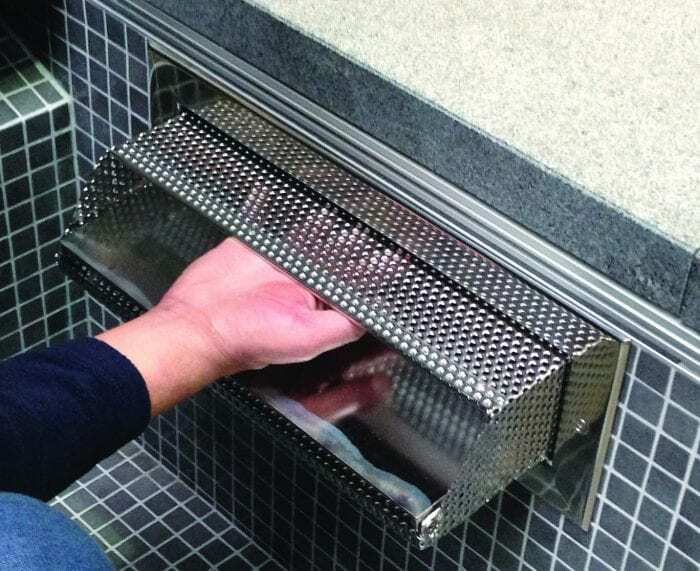 This unique skimmer has a front loading skimmer basket incorporating a stainless steel buoyancy controlled weir flap. 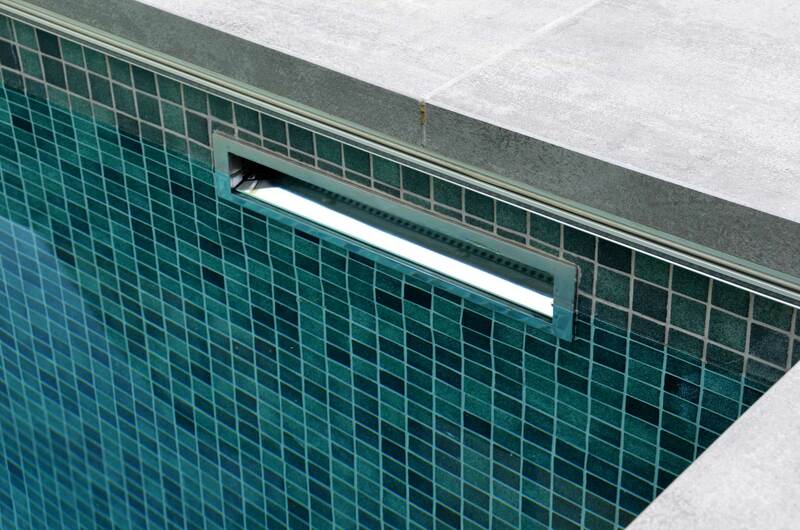 Elegant in design, this piece of equipment adds a touch of class to any pool. 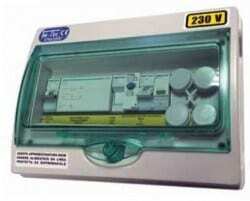 Although a separate vacuum point is suggested, this system is available for both concrete and liner pools. Taking a proactive approach to pool sanitation will help in the long run to reduce levels of debris, improve water clarity and maintain overall cleanliness. Autofill system for the skimmer system. By connecting a live water feed to the skimmer, your pool will automatically refill to the desired operating level using an electronic control system. No Skimmer lid. Nice clean minimalist modern look.